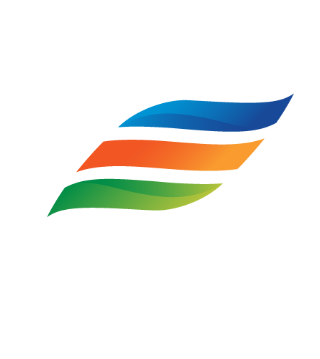 Constellation Energy, an Exelon company, serves millions of residential customers and businesses in the U.S. Constellation approached us to revamp their online experience and subsequently decrease their call-center volume. 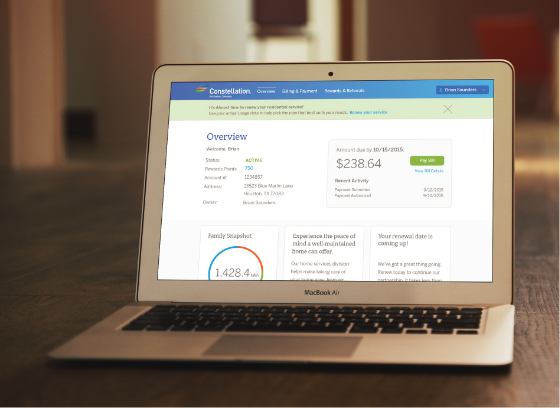 We collaborated to implement an entirely new digital experience for Constellation. Here’s how we transformed Constellation’s idea into a full-fledged digital experience that customers love. We worked with Constellation Energy to develop a digital experience platform strategy through rapid prototyping. Our first iteration hit the mark, and we fleshed out the product even further through iteration and feedback. Our design and product teams came together to meet even more of Constellation’s business objectives. We completely rearranged and enhanced on-boarding, login, account management, and billing screens in further iterations. 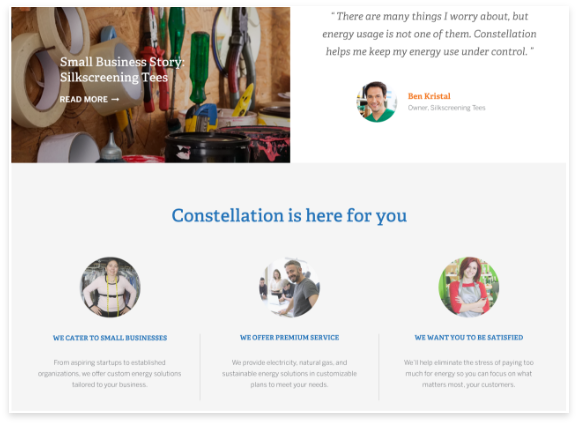 Constellation has separate divisions for residential customers and small businesses. We drew from successful aspects of the residential website to spur new content for small businesses. We uncovered unique ways to leverage Constellation’s development environment and toolkit. Aiming to benefit small businesses, we provided invaluable specs to bolster the forthcoming website. Our visual and interaction teams worked closely to produce what Constellation needed. Instead of investing heavily in wireframes, we created additional product screens and comps. Interaction designers simultaneously used the wealth of comps for annotations. By collaborating with one another throughout the entire process, our teams weren’t inhibited by traditional development bottlenecks. The engagement called upon all aspects of our services, from design and product direction, to agile software development. Charter Communications wanted to reach as much of their subscriber base as possible. We developed apps for the iOS and Android platforms concurrently. Upon first launch and an influx of downloads, Charter called upon us again for app optimization. We provided ongoing support and continued the abundant relationship for years after the initial app release.